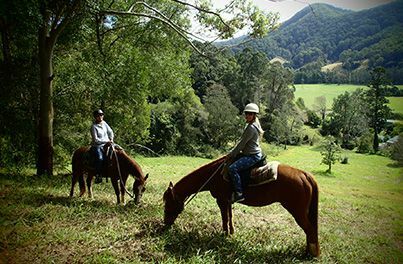 Welcome to HWH Stables, an award winning Horse Riding School & Trail Riding business operating within the beautiful Orara Valley and along the pristine Boambee Beach of Coffs Harbour NSW, Australia. HWH Stables prides itself on offering its guests and students highly unique experiences, with safety and education our highest priority at all times our guests are often living out their own personal life-long dream, and in many cases we are providing an experience that is on our guest’s own bucket-list, like swimming your horse in the rivers, waterholes, ocean surf and lagoons… cantering along a beach… running free through rugged ranges, or simply learning to ride with confidence, athleticism and strength via our clinics and lessons. Our friendly horses are clever and brave and operate very well together as a cute little herd or out by themselves, assisting and guiding our guests through some of Australia’s iconic scenery, while almost always enjoying the added highlight of spying on dolphins, whales and other native wildlife and flora. 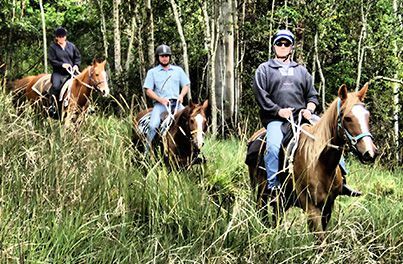 Orara Valley Rainforest & River trails in addition to our popular Boambee Beach & Lagoon rides are available all year round, and suitable to all levels of riders from absolute beginners to the more experienced. Minimum age for trail rides is 7 years old, and maximum weight is 90kg, group size is from 1 to 6 riders for all trail rides. If you have a larger group we can discuss this upon application. 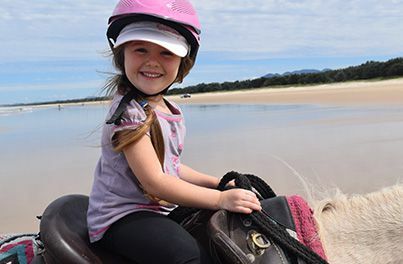 For children younger than 7 years old we highly recommend applying for lessons at our Riding School, or a led beach ride with a guide walking your child while the family rides unassisted is also suitable. Lessons for young children start from 4 years old. We will always do our utmost to accommodate our guests in a fun, safe and practical manner that creates memories to cherish forever. On this, HWH Stables is renowned for providing quality photography of your ride to our guests as a complimentary service. 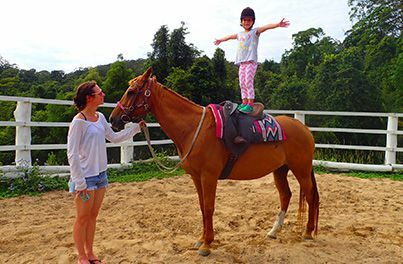 All rides, clinics and lessons are conducted by Chris Fenech, who has trained his horses and developed his own system designed to achieve the best results when training new riders of all ages in horsemanship and riding skills. Chris has over 30 years experience owning and managing horses both privately and commercially. Chris relocated his growing family from the Kimberley of WA during 2012 where he was managing a 3.5 million acre cattle station, which incorporated pastoral-based tourism activities including scenic rides, overnight packsaddle rides, cattle musters and 5 night cattle drives, as well as an on-site training facility for Indigenous trainees. 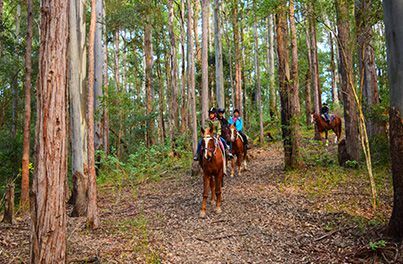 Chris has also held positions as an instructor and tour guide with various horse riding establishments over the years including Moore Park Stables in Sydney. Suitable for riders from 7 years old, from absolute beginners to experienced riders. Departing the Boambee Beach meeting point location, Beach Ride options range from 1 hour, 2 hour or our 3 hour ride includes the turquoise waters of Boambee Lagoon. All Beach Rides allow our guests to ride into the surf and to swim in the lagoon as part of our 3 hour ride. Early morning Sunrise & afternoon Sunset Rides are also available upon request. Trotting & Cantering is also permitted, subject to rider capabilities. Suitable for riders from 7 years old, from absolute beginners to experienced riders. 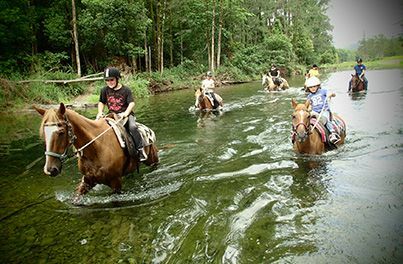 Departing the Upper Orara Riding School location, River Ride options range from 2 hour or 3 hour rides exploring the crystal clear waters of the ever-flowing Urumbilum River. 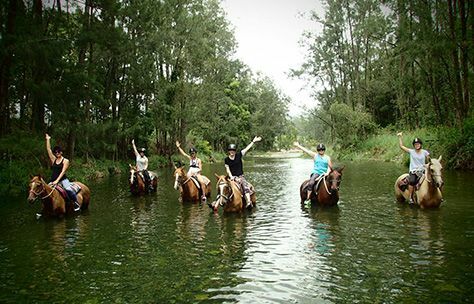 Horses are accustomed to riding into the shallow water all year round, with riders encouraged to go deeper for a swim with their horse or even jump off	the back of their horse for fun during the warmer months. Trotting & Cantering is also permitted, subject to rider capabilities. Suitable for riders from 7 years old, from absolute beginners to experienced riders. Departing the Upper Orara Riding School location, Bush Rides are 2 hours and include a variety of scenic locations that include pockets of subtropical rainforest and tall eucalypt forests along with spectacular views to lush green pastures and rolling hills within the Upper Orara Valley which is part of Australia’s Great Dividing Range. Trotting & Cantering is also permitted, subject to rider capabilities. We are always willing to tailor an adventure to satisfy our guests. 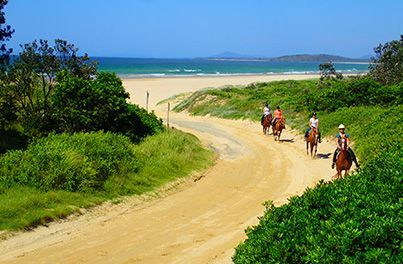 For example, it is not uncommon to combine a River Ride with a Bush Ride… then be treated to a delicious lunch at the homestead before heading off to the beach for an afternoon Beach Ride. HWH Stables has also been honoured to be part of our guests’ special events such as marriage proposals and surprise birthday gifts… we are well resourced to	cater for a variety of options and have a can-do attitude to your ideas…. Try us! HWH Stables’ owner and instructor Chris Fenech conducts all lessons and clinics providing students with relevant theoretical knowledge and practical skills that will cover both Horsemanship & Riding techniques that can be applied in a variety of equine disciplines for leisure, sport and work. From the arenas to the obstacle and jump courses to the local Rainforest, Rivers and Boambee Beach. HWH Stables offers a comprehensive introduction to the world of horses that is geared toward creating confident, athletic and strong riders with an all-round knowledge of horsemanship and the necessary care of horses. 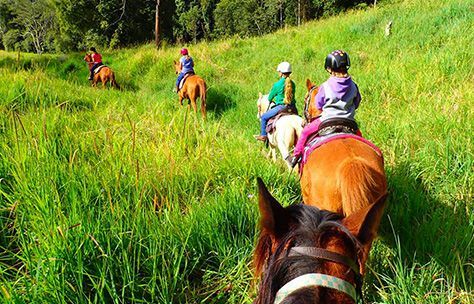 Whether it is for the little kids or the big kids at heart, HWH Stables offers residents in the Coffs Coast and Hinterland region the opportunity to hire a horse for your next party, wedding, special event or corporate function. Designed for fun and allowing everyone an opportunity to interact for photo opportunities and led rides. We are open to all ideas, from team building events, community events to the Bride and/or Groom arriving on horseback and parties. HWH Stables offers a Horse Transport service for up to 6 horses as well as a Barefoot Trimming service, both services are for customers located within the local area of Coffs Harbour and its surrounding shires. Our large truck is able to take 10 horses, however we limit all transport jobs to 6 horses. Barefoot Trimming services are also combined with consultation of individual horses’ diet and nutritional requirements and general hoof care. Chris takes great pleasure in working with his clients and their horses in the area of training. From problem solving of saddle-started ridden horses, to re-starting of horses left for extended periods of time or re-homing of racehorses, through to the completely new start-up of horses of any age. Chris, along with his clients, have enjoyed great success applying this approach while also delivering a more cost effective outcome by involving his customers as they too learn and cooperate throughout the process where they can. HWH stands for Holidays With Heart. HWH was established with the intention to create an income to help support a respite service that is	provided to families affected by Huntington’s Disease (HD) at the property located at 267 Dairyville Road, Upper Orara NSW. 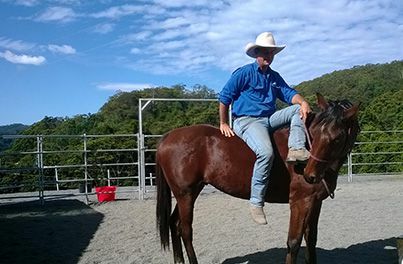 Chris’ family is affected by HD, and as an active member of the NSW Huntington’s Association he felt it was the least he could do to enable families to visit his property to enjoy the surrounds, ride a horse, and generally take their mind off the day-to-day of living with HD. 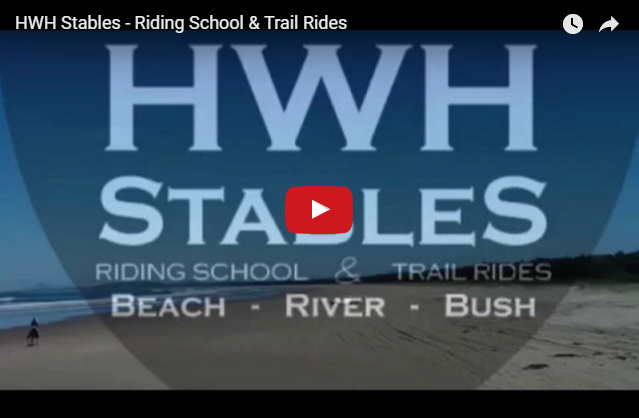 HWH Stables Riding School (Lessons, Clinics, River Rides, Bush & Rainforest Rides) – From Coffs Harbour, make your way along Coramba Road to the Upper Orara Road turn-off (at the Karangi General Store) and turn left. From there, travel for approximately 6kms until you reach the Dairyville Road turn-off (at the Local Hall) and turn right, travel for approximately 3kms until you see the property gates on the left. All visitors must call prior to their arrival by contacting the office as the gates are security controlled. The HWH Stables meeting point is directly behind “The Deep Sea Fishing Club” at the southern end of the Jordan Esplanade at the Coffs Harbour Jetty. Travel east along Harbour Drive or Orlando Street towards the Coffs Harbour Jetty. Cross the railway line at the Jetty. (Close to the “whale-tail” water fountain). Turn right at the roundabout on the intersection of Marina Drive and Jordan Esplanade. Follow Jordan Esplanade for 1.2km. 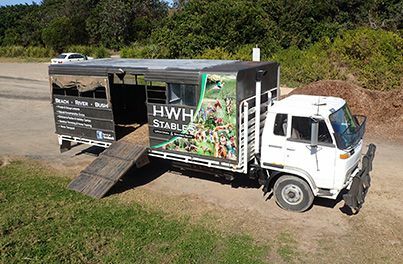 We are located directly behind “The Coffs Harbour Deep Sea Fishing Club” – look for the HWH Stables truck and horses.